One of a kind piece, bought decades ago by my father. 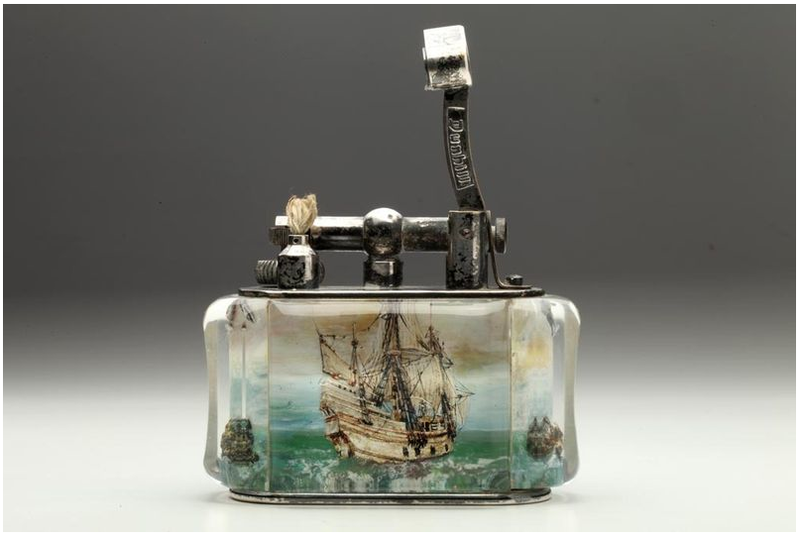 An extremely rare silver-plated 'Aquarium' table lighter, the perspex lucite body enclosing hand-painted scenes of the Royal William 1719 at sea, on one side and "HM Brig Watskerwitch on the other. The side panels featuring seagulls in flight and rocks, with silver plated lift-arm marked DUNHILL, in excellent condition. English circa 1950s. Ben Shillingford used the very skilled 'intaglio' technique, where each layer of colour and detail is built up in reverse. 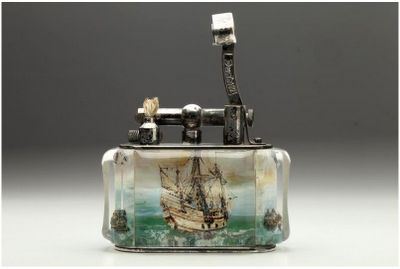 By nature of how they are made, each is completely unique, and the lighters that feature under water scenes tend to be more widely known. However the non-aquatic scenes, (such as this one), of for example birds, outdoor pursuits, famous ships or automobiles are incredibly rare and do not come onto the market very often. Fantastic original condition, in good working order. Materials/Techniques: Perspex body with hand painted scenes. Lift arm and mechanism in silver plate. History: HMS Prince was a 100-gun first rate ship of the line of the Royal Navy, built by Phineas Pett II at Deptford Dockyard and launched in 1670. During the Third Anglo-Dutch War she served as a flagship of the later king James II, then Duke of York and Lord High Admiral. During the Battle of Solebay (1682) she was in the center of the English fleet that was attacked by the Dutch center led by de Ruyter. The Prince was heavily damaged and Captain of the Fleet Sir John Cox was killed on board. The Duke of York was forced to shift his flag to the St Michael. She was rebuilt by Robert Lee at Chatham Dockyard in 1692, and renamed at the same time as HMS Royal William. During the War of the Grand Alliance the ship saw action at the Battle of Barfleur of 19 May 1692. The Prince belonged to the red squadron and carried the flag of Rear-Admiral Shovell. She was the first ship to break the French line during the battle. In December of 1721 the Royal William was transferred to the Caribbean under the command of Captain Jack Naseby with orders to join the St. George Squadron with all haste. She arrived in the Caribbean on the 2nd of February, 1722. Not long after docking in the Bahamas, Royal William engaged in action against French naval assets in the region, including a large French resupply detachment. Recent Assignments: As of February 2nd, 1722: HMS Royal William is to safeguard British interests in the Caribbean, defend key ports and harass enemy combat patrols and fleets. February 4th, 1722: Under the command of Captain Naseby, HMS Royal William in conjunction with captains Ray Reyman and Kyle McAvoy, undertook a sustained defensive campaign at Riding Rocks. The powerful force engaged countless Spanish fleets, sinking or taking a great deal of tonnage. This massive effort allowed the British defenders of Riding Rocks to strengthen their positions, from meager outposts to strong and numerous forts. 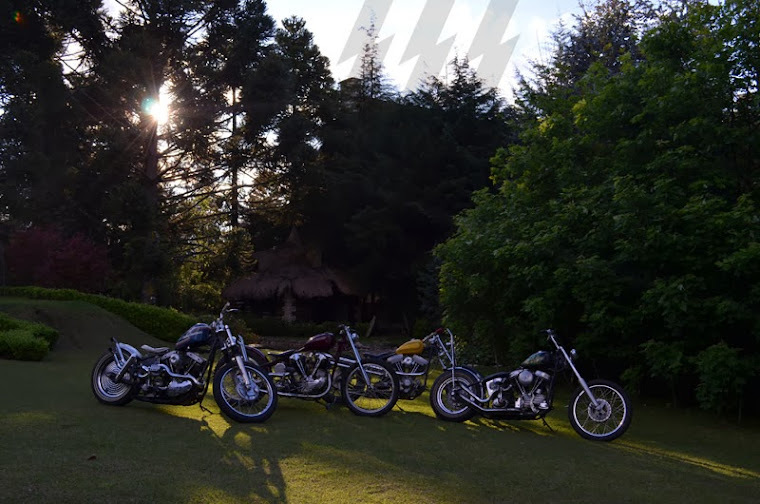 Thanks to this action, British victory was easier to achieve during the subsequent Battle of Riding Rocks. April 21st, 1722: The HMS Royal William, under the command of Commodore Sir Jack Naseby, was the flagship of the Black Squadron at the battle of Puerto Cabezas. The warship exchanged fire with the enemy who, though outnumbered, put up a valiant and desperate fight before withdrawing from the battle. The Royal William suffered no critical damage during the engagement. Puerto Cabezas April 21, 1722 Assault France Victory Undamaged. Flagship of the Black Squadron.